Below description is from wikipedia. The ZSU-23-4 “Shilka” is a lightly armored Soviet self-propelled, radar guided anti-aircraft weapon system (SPAAG). The acronym “ZSU” stands for Zenitnaya Samokhodnaya Ustanovka (Russian: Зенитная Самоходная Установка), meaning “anti-aircraft self-propelled system”; the “23” signifies the bore diameter in millimeters; the “4” signifies the number of gun barrels. It is named after the Shilka River in Russia. Afghan soldiers nicknamed it the “sewing machine” due to the sound of firing guns. It is also referred to by its nickname of “Zeus”, derived from the Russian acronym. 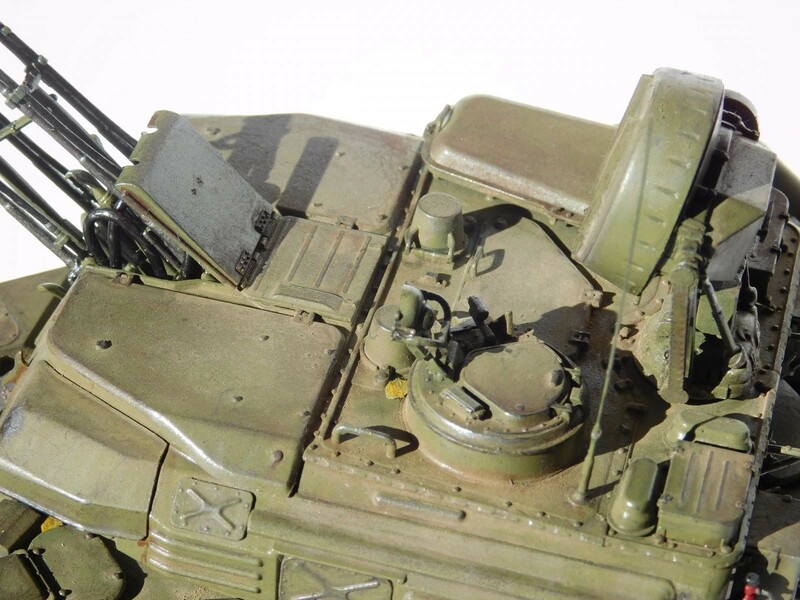 The previous Soviet self-propelled anti-aircraft gun (SPAAG), the ZSU-57-2, was armed with two 57 mm autocannons; it was aimed optically using a basic tracking and lead calculating system. The ZSU-57-2 was not particularly successful despite its very powerful autocannons; it could only carry a relatively small amount of ammunition, was inaccurate as it lacked radar and could not fire while on the move. The ZPU series armed with 14.5 mm heavy machine guns carried on a towed mount for stationary, point air defence had a much higher rate of fire. The 23 mm version of this weapon system was known as the ZU-23-2, a towed mount carrying two 23 mm cannons. However, these towed or improvised truck-mounted weapons had similar disadvantages. 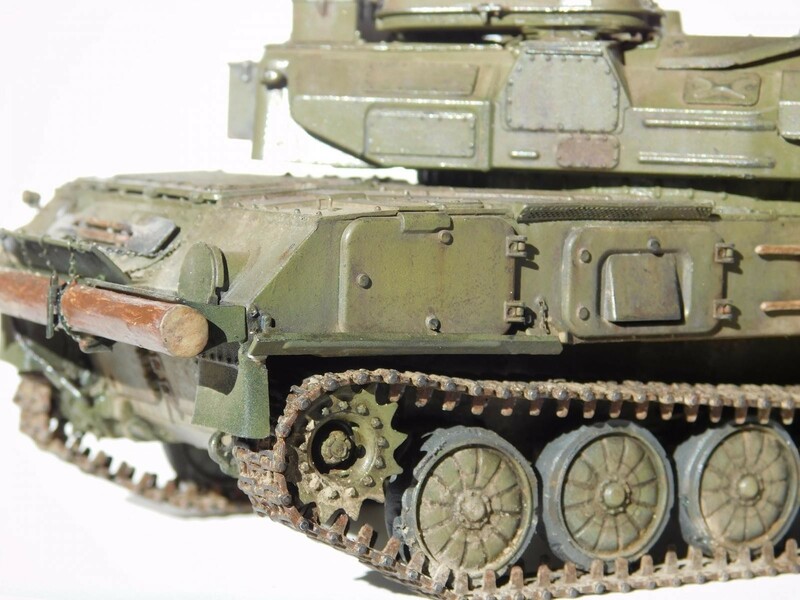 The development of the ZSU-23-4 “Shilka” began in 1957 along with ZSU-37-2 “Yenisei” and the vehicle was brought into service in 1965, replacing all ZSU-57-2s in air defense units toward the beginning of the 1970s. The ZSU-23-4 was intended for AA defense of military facilities, troops, and mechanized columns on the march; originally, the more powerful guns of “Yenisei” were judged to be effective at covering the inner dead-zone of Soviet surface-to-air missile systems despite the increased weight of the vehicle, but commonality prevailed. Initially, tank regiments should have had the anti-aircraft artillery battalion of “Shilka” (consisting of two batteries, four ZSU-23-4s in each). 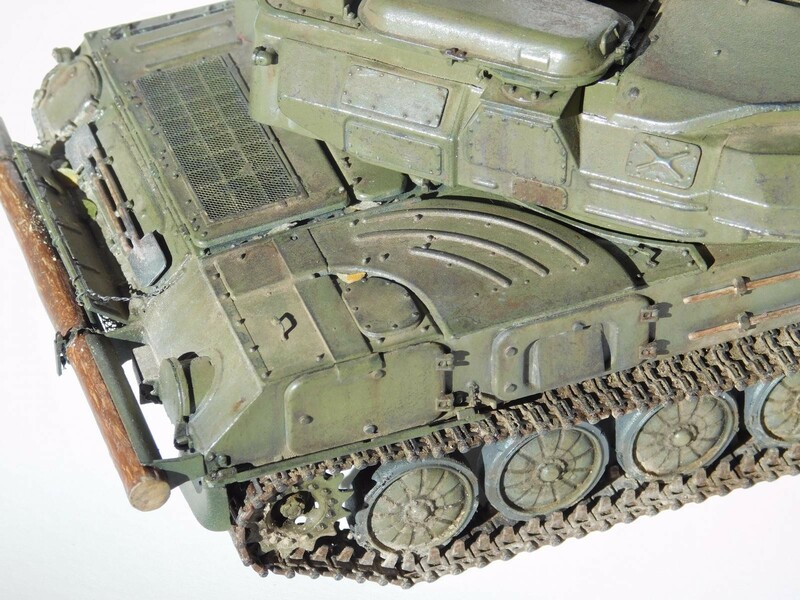 At the end of the 1960s, one battery was equipped with ZSU-23-4s and the other with ZSU-57-2s. 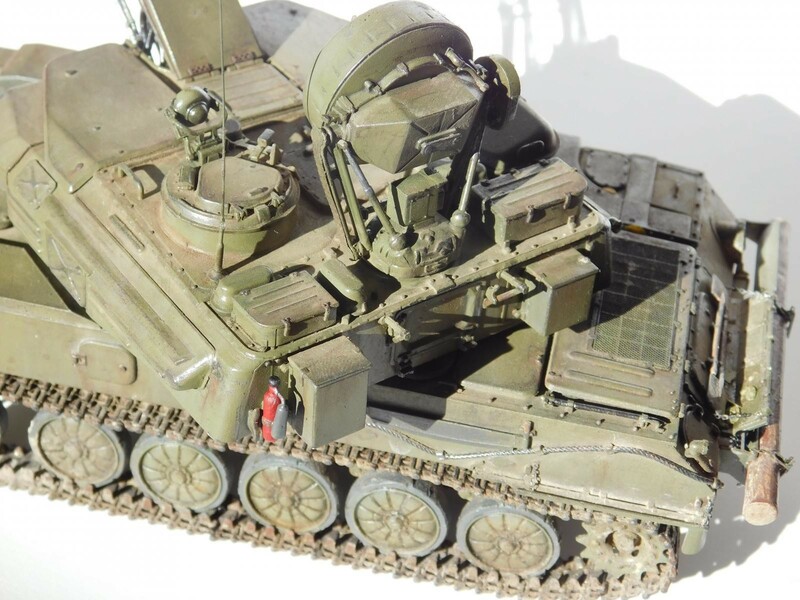 Motorized rifle and tank regiment standard anti-aircraft batteries consisted of two platoons later (one platoon was equipped with four ZSU-23-4s and another with four mobile surface-to-air missile systems 9K31 Strela-1 or 9K35 Strela-10). The ZSU-23-4 combined a proven radar system, the non-amphibious chassis based on GM-575 tracked vehicle, and four 23 mm autocannons. This delivered a highly effective combination of mobility with heavy firepower and considerable accuracy. The ZSU-23-4 outclassed all NATO anti-aircraft guns at the time, and it is still regarded as posing a major threat for low-flying fixed-wing aircraft and helicopters. The system was widely fielded throughout the Warsaw Pact and among other pro-Soviet states. Around 2,500 ZSU-23-4s, of the total 6,500 produced, were exported to 23 countries. 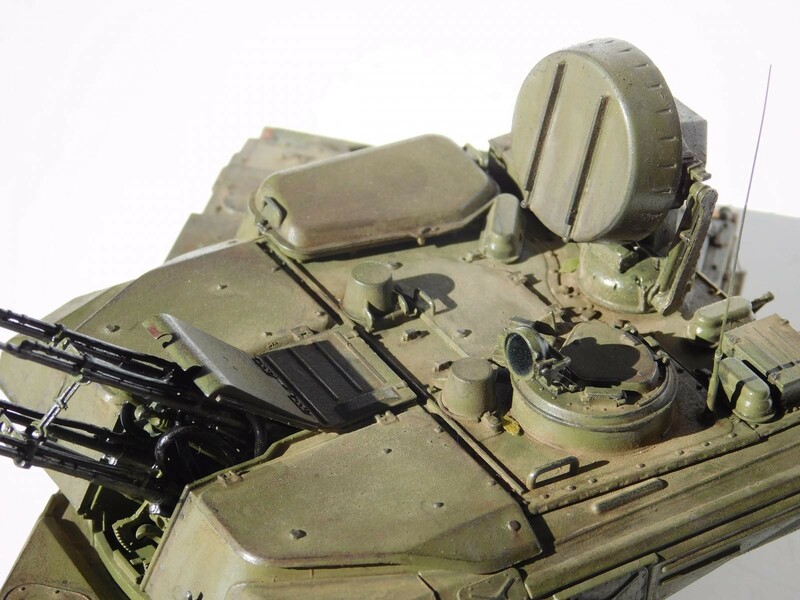 The Soviet Union’s successor states continue to manufacture and supply variants of the ZSU-23-4, notably the Ukrainian “Donets” and Polish “Biala” variants. 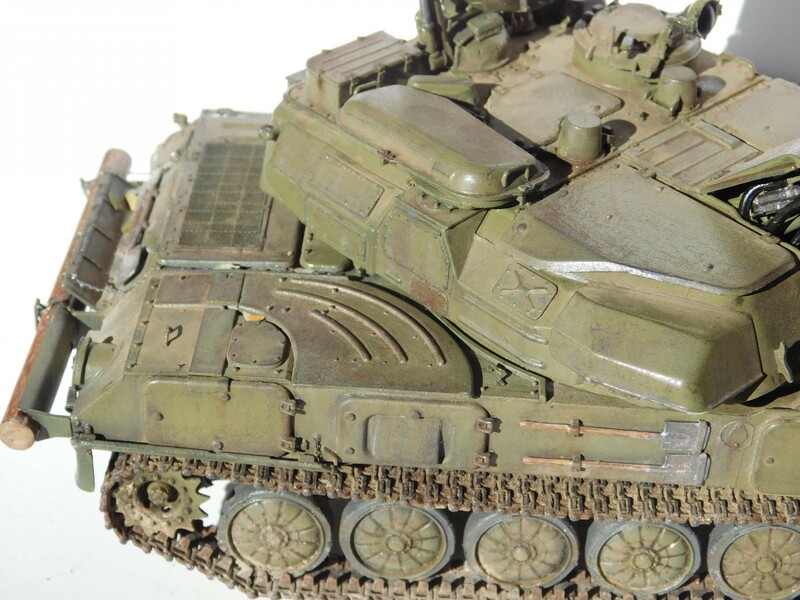 ZSU-23-4 units saw active service in the Yom Kippur War (1973) and other Arab-Israeli conflicts, the Iran–Iraq War (1980–1988), and the First Gulf War (1990). During the 1973 Yom Kippur War, the system was particularly effective against the Israeli Air Force. Israeli pilots attempting to fly low in order to avoid SA-6 missiles were often shot down by ZSU-23-4s as in Operation Doogman 5. During the Soviet–Afghan War ZSU-23-4 units were used widely and to great effect against mujahideen positions in the mountains, the ZSU-23-4’s guns being able to elevate much higher than the weapons on BMPs, BTRs, T-55s, or T-62s. They were also used to suppress defensive positions around the presidential palace during the initial coup in Kabul at the start of the Soviet-Afghan war. 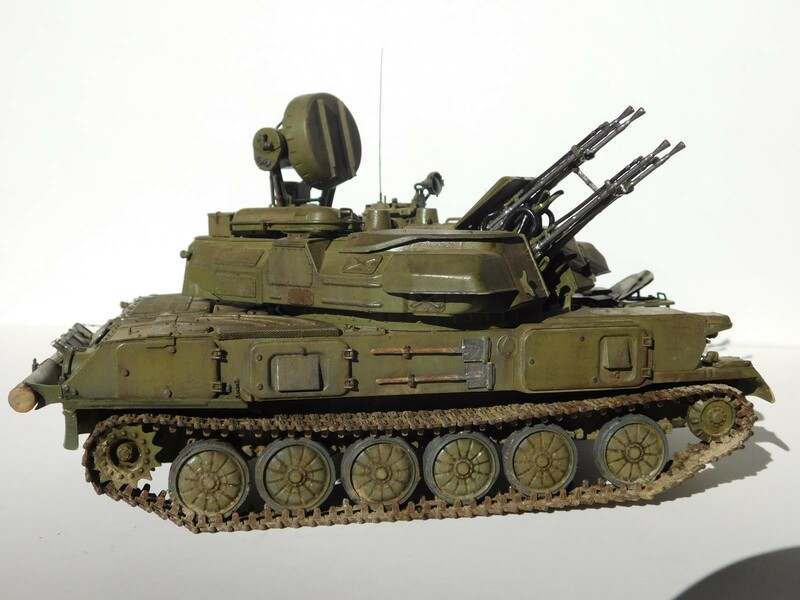 The Russian Army used the ZSU-23-4 for mountain combat in Chechnya. Initially fielded by the loyalist forces of the Syrian Arab Army as a fire support vehicle, a number of them were captured by different factions in the Syrian Civil War and they are normally fielded in a fire support role by all sides. There were no (or at most very limited) attempts by the different opposing forces to use the Shilka in its original anti aircraft role against loyalist and international air forces operating in the area. The radar-guided ZSU-23-4 “Shilka” SPAAG, with its four 23 mm (0.90″) autocannons, was a revolutionary SPAAG, proving to be an extremely effective weapon against enemy attack aircraft and helicopters under every weather and light condition. 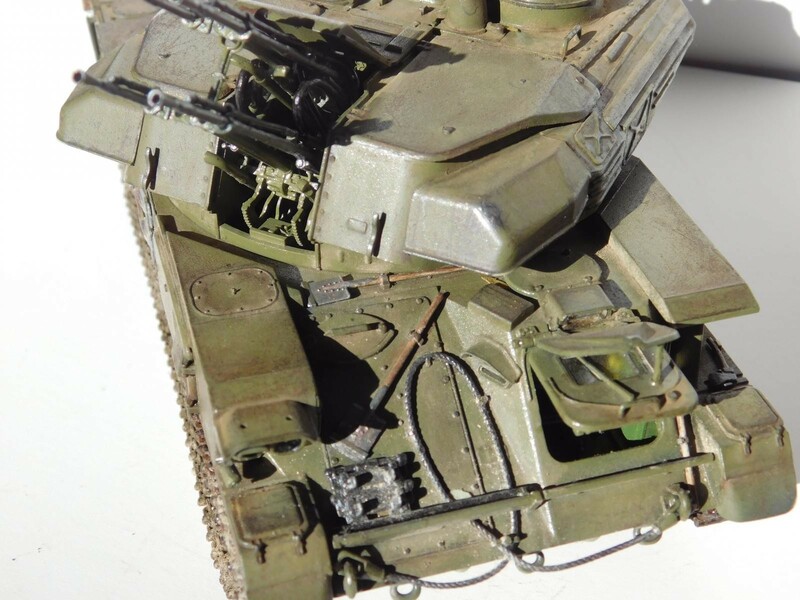 The ZSU-23-4 has a very high density, rate and accuracy of fire, as well as the capability for each of the four autocannons to fire its own type of projectile from separate belts. While it is technically possible that each cannon shoots different type of ammunition, there were two types commonly used in late 1970s: OFZT incendiary fragmentation and BZT armour-piercing tracer, which were to be loaded in 3:1 ratio—three OFZT, then one BZT, every 10th BZT round equipped with so-called “copper remover” and marked. Operators were strongly discouraged from shooting from a single barrel. 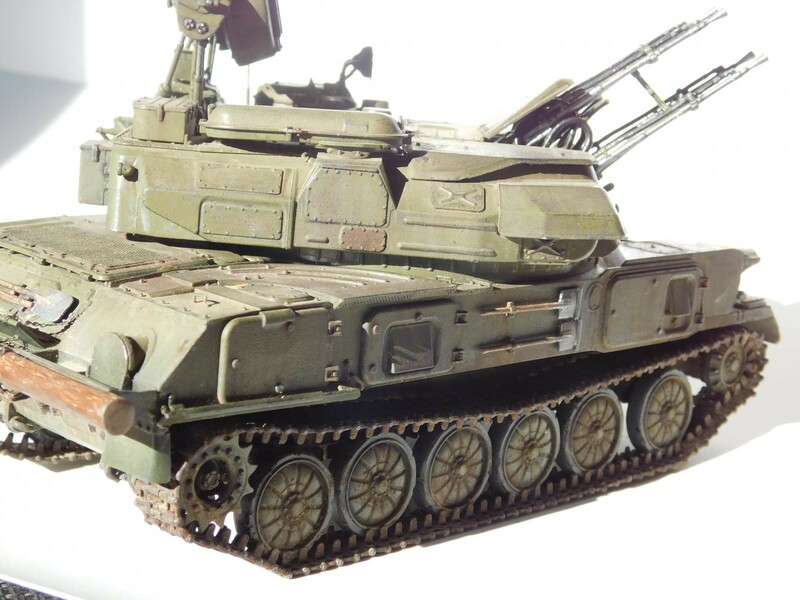 The appearance of the “Shilka” caused significant changes in NATO tactics in aircraft use at low altitude over the battlefield. Despite its present obsolescence as a modern short-range anti-aircraft weapon, the ZSU-23-4 is still deadly for enemy light armoured vehicles, infantry and firing points as an infantry-support vehicle. 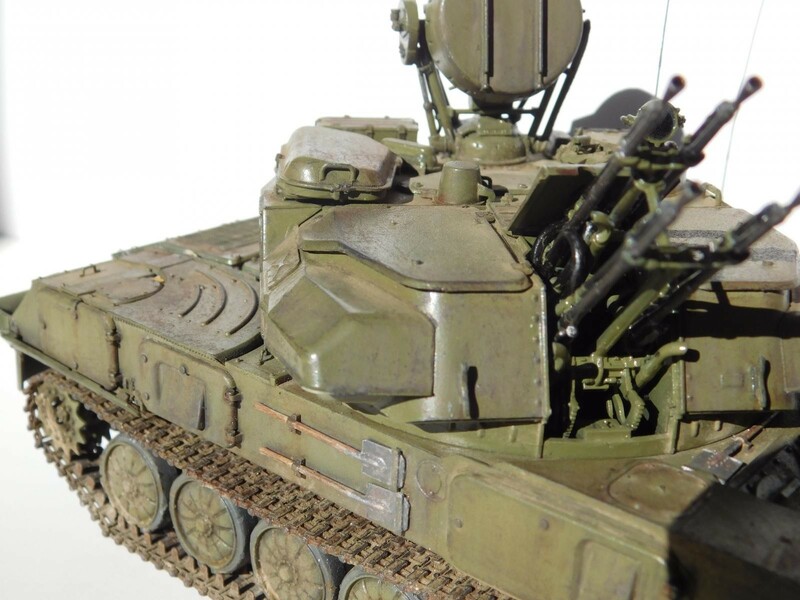 With its high rate of accurate fire, the ZSU-23-4 can even neutralize tanks by destroying their gun sights, radio antennas, or other vulnerable parts. ZSU-23-4s, especially late models, have excellent performance and good systems reliability. 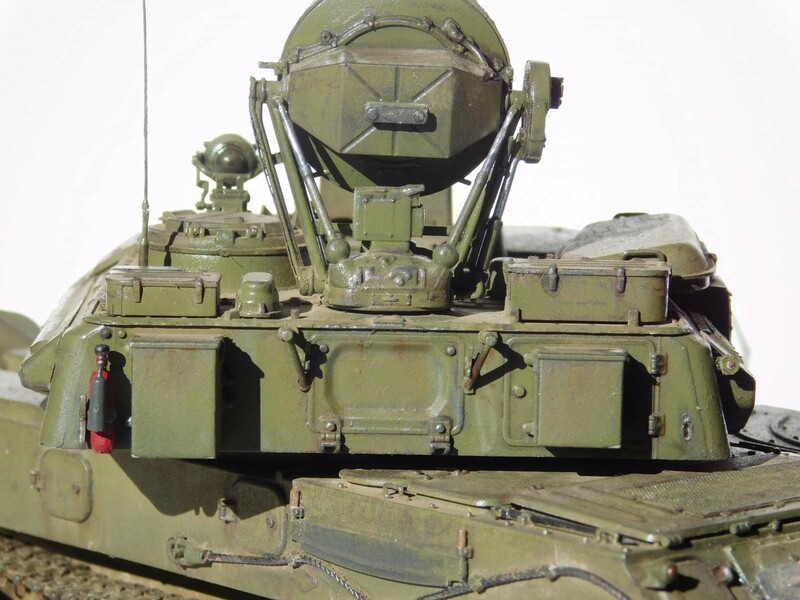 Based on the GM-575 tracked vehicle chassis, which used components from the PT-76 light amphibious tank, the ZSU-23-4 mounts an armored turret holding four liquid-cooled 23 mm (0.9″) 2A7 autocannons linked to an RPK-2 “Tobol” radar (NATO designator: “Gun Dish”). The vehicle weighs 19 tonnes (late modifications up to 21 tonnes), has a movement range of 450 km (280 mi) and a top speed of 50 km/h (31 mph). Additional firepower of late modifications can be supplied by a roof-mounted pod of six short-range SA-18 SAMs, or side mounted SA-16s. The crew numbers four: driver, commander, gunner and radar operator. The driver’s compartment is located in the nose part of the vehicle. 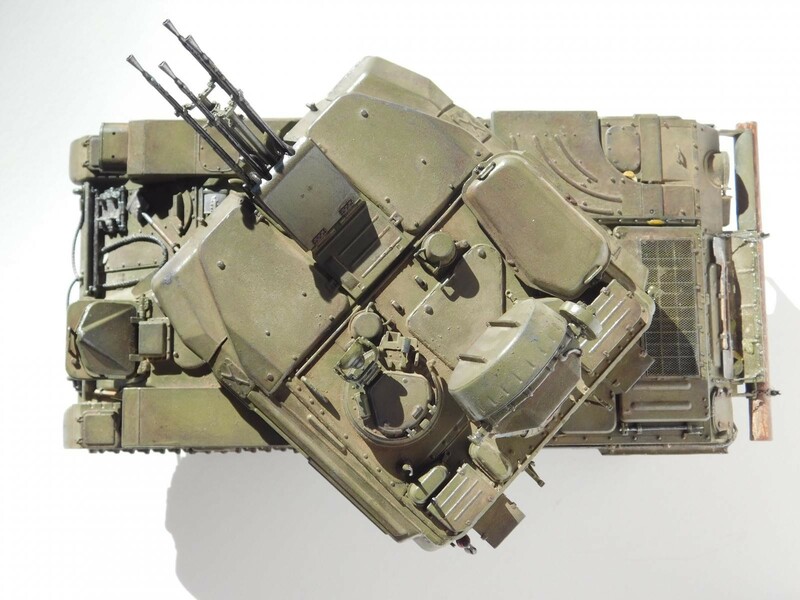 The fighting compartment is in the center, and the engine compartment is in the rear part of the vehicle. The transmission consists of a multi-plate metal-contact main clutch, a manual gearbox with five forward gears, two planetary two-step steering gears with locking frictions and two final drive groups. The vehicle chassis has six single rubber tired road wheels, a rear drive sprocket with detachable sprocket rings (lantern-wheel gear) and one idler wheel per side. The first and fifth left, and sixth right road wheels have hydraulic shock absorbers. The track is 11.904 m long, 382 mm (15″) wide and has 93 links. Because of a large number of different pipes and tubes to detach during maintenance, the repair procedure for some of the vehicle’s mechanisms is hard (for example, replacement or repair of a starter). The electric drive of an air outlet hatch of a gas turbine engine (part of the vehicle’s electric power supply system) has an inconvenient location (at the bottom of the hull) which causes overheating and sometimes, jamming of the electric drive. On the other hand, the construction of the electric power supply system is very reliable. Changing the main engine oil and coolant is easy, as is replacement of fuel and oil filters, and sections of the air filter. 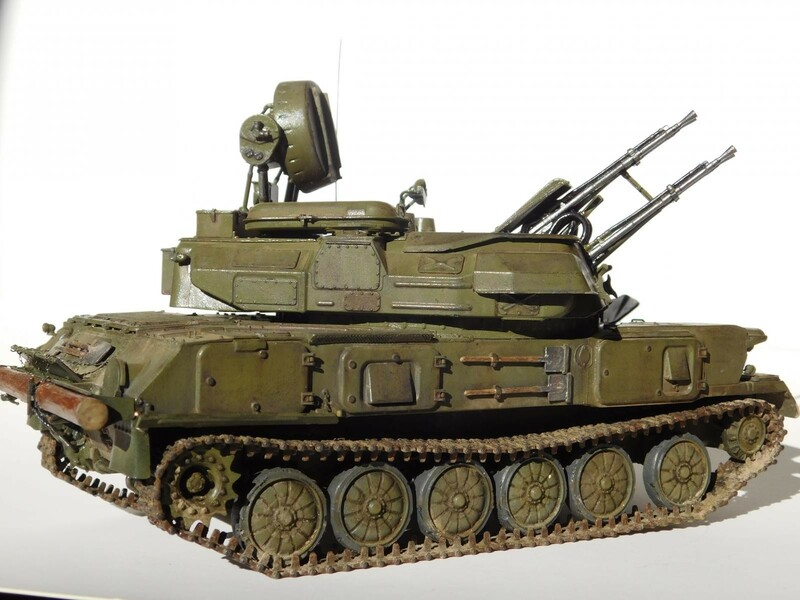 The ZSU-23-4 can cross vertical obstacles 0.7 m (2.3′) high, trenches 2.5 m (8.2′) wide, has a 1.0 m (3.3′) fording depth and can climb 30° gradients. The ZSU-23-4 has good maneuverability and cross-country ability, but its diesel engine’s power is insufficient for a vehicle of its weight. As a result, off-road acceleration capabilities are sub-par, and the vehicle lags behind MBTs and IFVs on up-hill terrain. 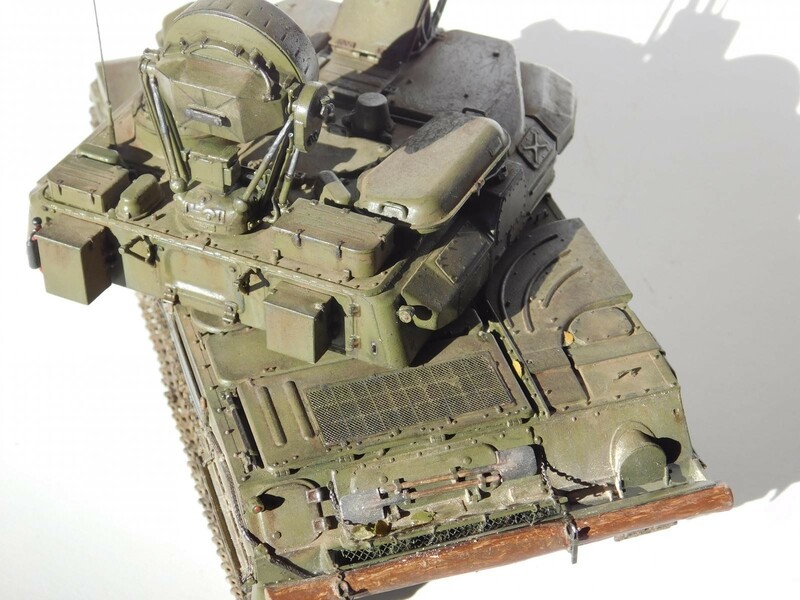 The ZSU-23-4 is equipped with an NBC system with an air filtration unit, fire-fighting equipment, TNA-2 navigational system, infrared vision device, R-123 radio set, R-124 intercom and electric power supply system consisting of a DGChM-1 single-shaft gas turbine engine (70 hp at 6,000 rpm) and a direct-current generator (which provides 27 V and 54 V direct current or 220 V 400 Hz alternating current). Nice presentation, Robert – good-lookin’ job on the build, the photos and highly informative background info as well. Outstanding post, my friend. 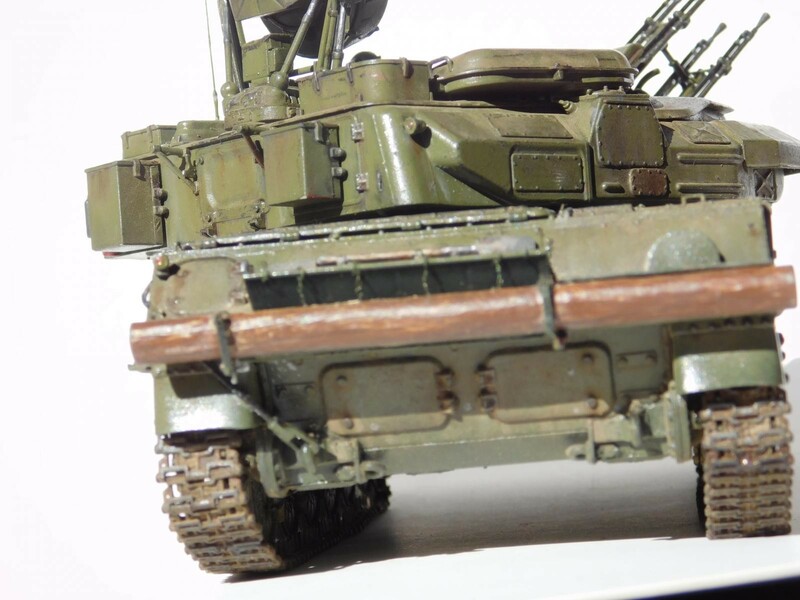 Very nice work on that Shilka, Robert. Good work on the weathering. Impressive build Robert, these Meng kits are spot on. You’ve definitely brought it to life. Great ZSU, Robert! 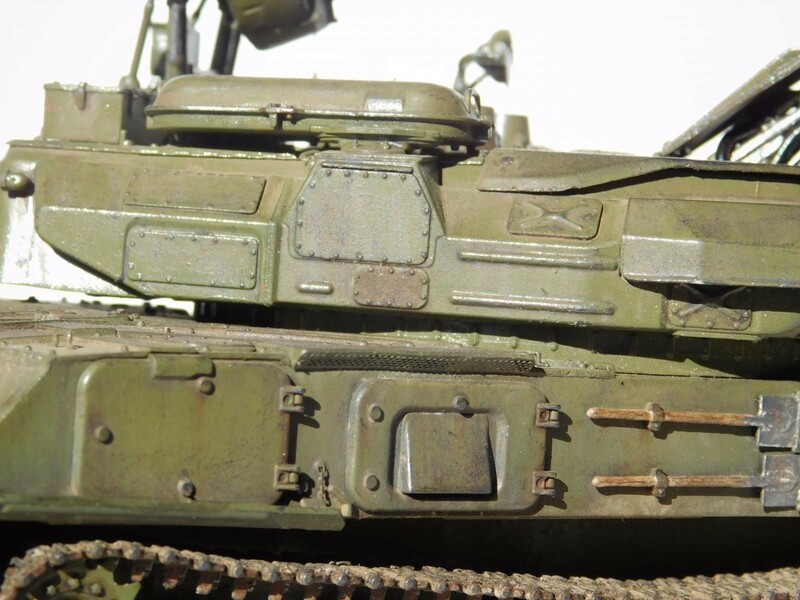 Great detailing & weathering! When I was still playing Tanker (’78-’90) our scouts and chopper pilots were apprehensive about “meeting” one of these. It was one of the ONLY things the chopper pilots were wary of!